I keep looking for different ways to use my sourdough starter. Particularly the “unfed” starter that is discarded when you feed the sourdough after it’s been in the fridge. 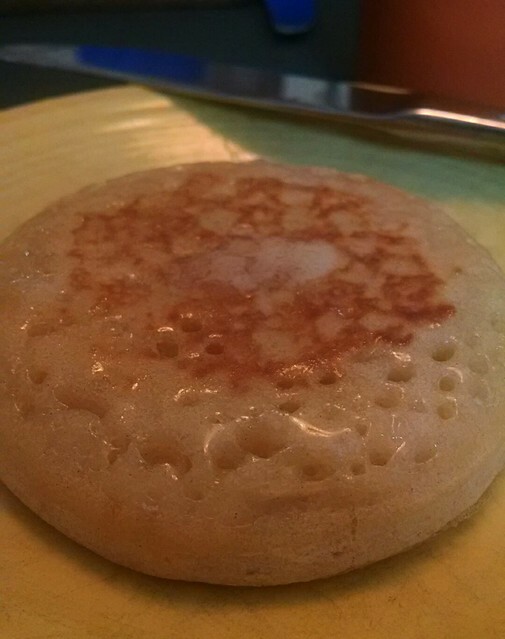 Today I tried the Sourdough Crumpet recipe from King Arthur Flour, and this is definitely a winner. 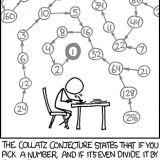 It’s extremely easy. Basically, you take the unfed starter, and for each cup of starter, stir in 1 teaspoon of sugar, and 1/2 teaspoon each of salt and baking soda. There was just one problem with that combination – my batter was way too thick. The first ones didn’t bubble on the top, and ended up looking more like english muffins – not that that’s such a bad thing. No problem, just add water until it’s like a thick, but pour-able batter. The next batch looked much better. Look at all those lovely bubbles! Now I have no reason to discard any of my sourdough starter. I can just save any discard in the fridge until I have enough to make a batch of crumpets. I think I’d thin the sourdough before adding the other ingredients next time, but otherwise it worked great. 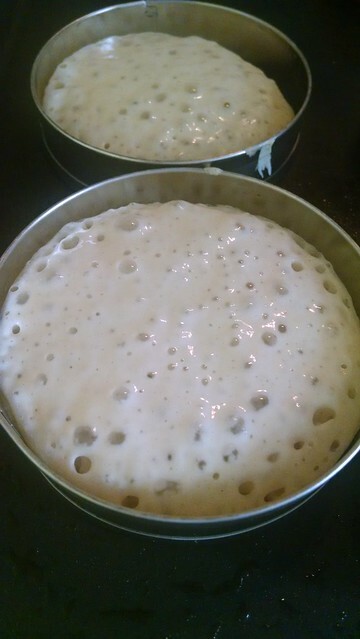 I started with 3 cups of starter, and it made about 20 crumpets. 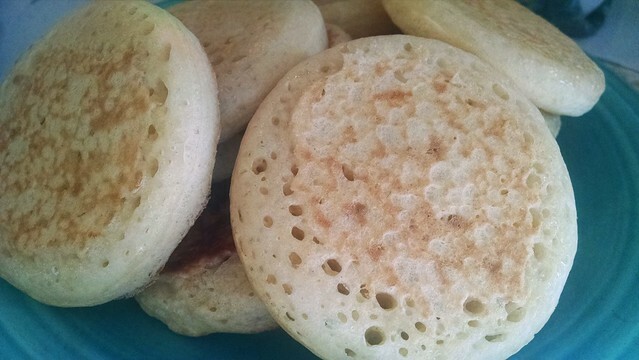 Lightly toasted and spread with butter they were delicious – I don’t think I’ll ever buy crumpets again.